RSS means Really Simple Syndication which is a Web content syndication format. 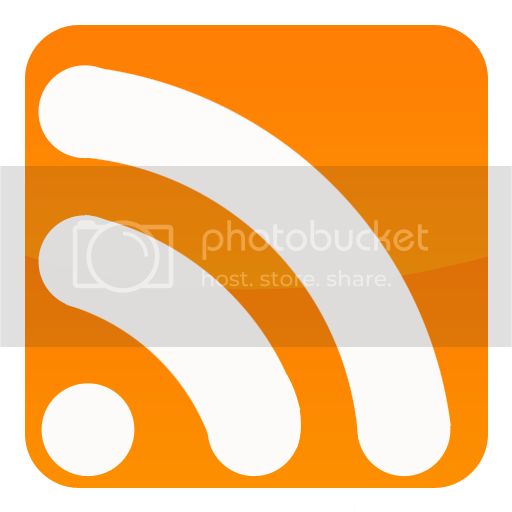 If you are looking for "Read/Consume RSS feed" article then click here. Now let’s try to find out what RSS is about. 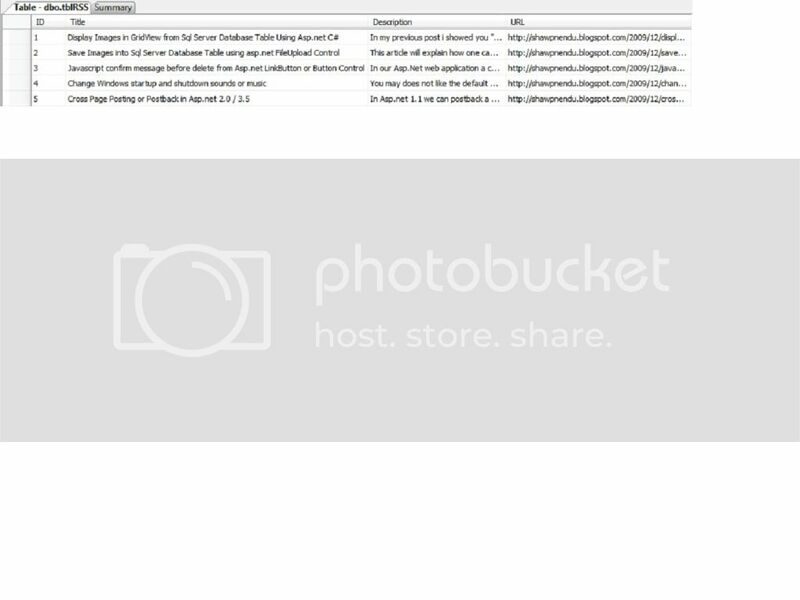 Basically the website owner should return a RSS feed - and that's simply an XML document following a certain standard, describing new or latest articles on your site. When one copy your feeds & read it by a reader like goggle reader then reader get an overview of your latest articles. If reader wants to read details lets "How to make or create RSS Feed using Asp.net" then the reader will click on your Creating RSS Feed link which will redirect the user to your site. 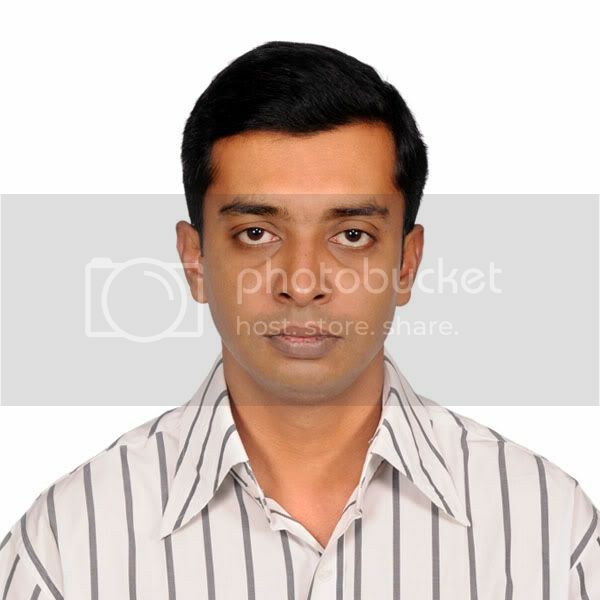 So i hope now you can understand why Creating RSS feed is necessary for website or blog owner. In blog we will get RSS feed by default but for website you must need to create or make RSS feed for your regular readers so that all times they won’t visit your website to read your latest articles. So now i hope that you can runtime create RSS feed in asp.net application without help of others. 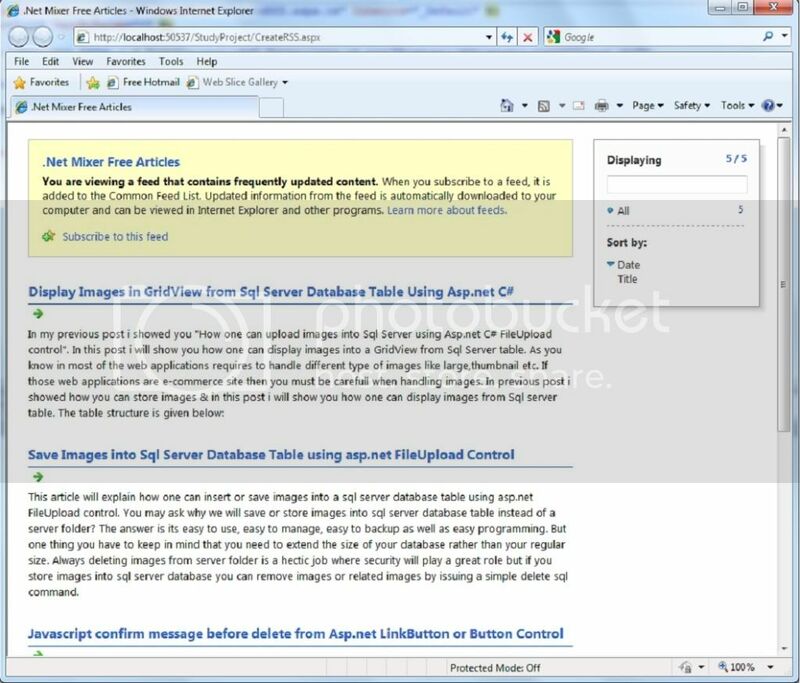 In my next article i will show you how you can Read/Consume RSS feed in your asp.net aspx page. There are more useful tags which you can use to create the RSS feed, such as the author, category or an unique ID. You found more information on Creating RSS Feed in the RSS 2.0 specification page. hi,i have started to learn abt RSS Feed n have gone thru many sites.but not getting how to start the project for tryel.just to understand how to use RSS Feeds and create it on our website.could u plz guide me from the first step.in database URL feild whose url i have to save.u can just tell me the steps if u cant define it in breif.i will try it myself. I used this example and eveything works great except the following. All the items appear as long as the user has not subscribed to the feed. After a user subscribes only the most recent item appears. 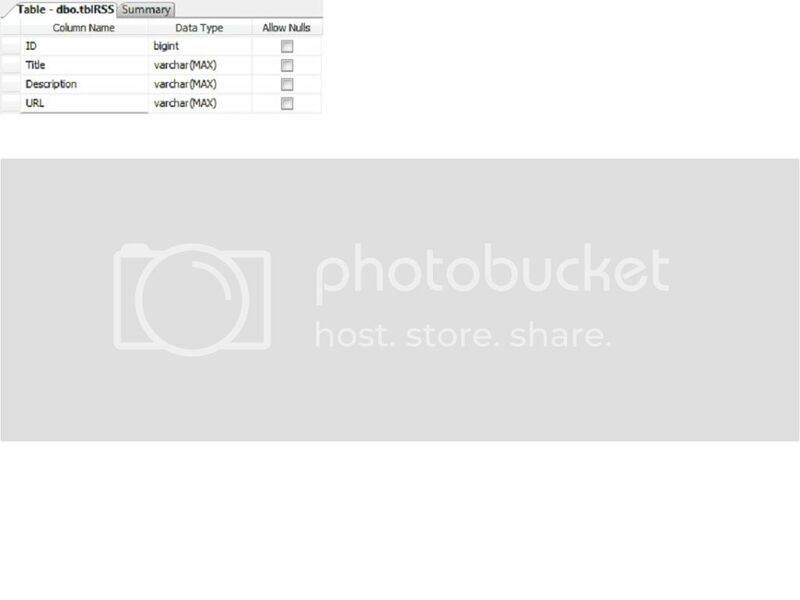 This happens both in the browser and in any external rss viewer. Any thoughts/solutions?
" Error 1 The name 'Encoding' does not exist in the current context"
what is this? i'm not found any name reference for "Encoding". where is located. r u using any external file.? Awesome information, nicely written. Thanks! Thanks for the great post. Clear, concise, and a straight-forward working example. Helped me a lot.